It is no surprise that the businesses has become more digital as the technology continues to evolve. Digital marketing industry is increasing in compound rates in every year. Currently India is spending over Rs. 8,000 crore, contributing 15% to the total global expenditure of the digital marketing industry. By 2020, it will reach more than 18,000 crore in spending. So why digital marketing is becoming more and more popular everyday and people are willing to spend money on it like never before? Here in this article I will discuss advantages of it and how it is beating traditional marketing. Digital Marketing: Also known as online / internet marketing is a form of marketing which is done on various platforms on internet. With cheaper and easy access of internet there are limitless number of platforms available on internet, where we can reach to customers. Traditional Marketing: This is more conventional and old ways of marketing. It is being used since ages and it started from the early days of advertisements. After knowing their definition and different ways of marketing of both methods. Now it is time to dissect both of them to know which is better than the other. In traditional marketing, to target our potential customers we can do put our banner hoarding on high traffic roadsides, distribute leaflets in popular areas where thousands of people go everyday, like popular railway stations, market places, city centre malls, popular road crossings. Also we can put our advertisements in local newspapers or TV channels to grab the attention of our potential customers. Now just be real and think once that by doing all these things how accurately we can to our audiences. In every cases over here we don’t have any control over our ads to show only to those people who will be interested in our product or services. Suppose we have distributed thousand leaflets in a crowded crossing in a day, but only hundred of them are actual people who are interested in our products. Only this hundred people will see our ads properly, to see if its providing any value to them or not. And others will just ignore it, throw it to dustbins, or maybe as a napkin, but our purpose will not meet here. So it will be 90% waste of our effort and money. 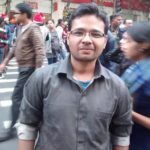 But in the other hand in digital marketing we have the power to deliver our advertisements to only those people who are interested in similar kind of products/services to our products. And by showing our ads to targeted people we can have much higher return on investment (ROI) of our ad campaign. As we have seen our previous examples we have to spend money for those who are not interested in our services in traditional marketing. So it is obvious that all this money will be wasted and it will cost huge money for a small business owner to put hoardings, newspaper, TV ads regularly. But in digital marketing I can choose how much money I want to spend for a particular ad campaign and also it will be properly targeted to my audience. Google, Facebook provides us tools where it work on pay as you go model. I will only pay when people have seen my ad and interacted with it. I can narrow my audiences as narrower as I want, if I know my buyer persona exactly to get most ROI. Also I can wide my audiences to more people and create brand awareness of my business. And my most favourite part of it is that we can actually see the metrics of our campaigns. Let’s come down to my next point. By doing traditional marketing we cannot have proper statistics of our campaign. We can have metrics like how many people watch or listen particular show on TV or radio. What is prime time to reach more people. Same goes with newspapers we may have stats like how many people buy particular newspaper or magazine, but we can’t have any data for how many people of the audience of that TV channel, magazine actually seen our ads after running the campaign. But after running a campaign online we have so much data to dig in and make our campaign more effective. We can see our audience behaviour, age group, gender, time frame when they engage more with our ads. We will have data like which browser, devices they use, how long they engaged. There are so much data available to analyse and make more effective campaign in the next run. Google Adwords provides all these data and allow us to create campaign based on our requirement. We can run our ad for particular peoples, in particular time to get more conversions. In digital marketing we can create campaign fast and easily, from anywhere with any amount we can start. But in traditional way we have go through various processes to our ad campaign up and running. We have to design & prints layouts, then distribute them through various channels, for that we have to take certain permissions & many more and these processes are time consuming. In online our ad campaign is few clicks away to get started. In google adwords we have advantages to create & run multiple campaigns within same budget. After running for few days we can get enough data from each campaign to analyse and choose the better performing one to spend our full budget. By doing this kind of experiments we can get the most benefit from our adwords campaign. In traditional way of marketing we don’t have this kind of flexible features. To know more about Google adwords basics & how to get started follow this. With the regular advancement of technology people now spending more time online like never before and it will continue to grow more & more in future. By doing online marketing we can reach to finger tips of our customers. In online customers choose and control which ads they want to see. So if an ad is getting delivered and customer engaged with it, then we can say that the person liked the ad and wants to know more about it. And by this conversion is much higher than the old way. 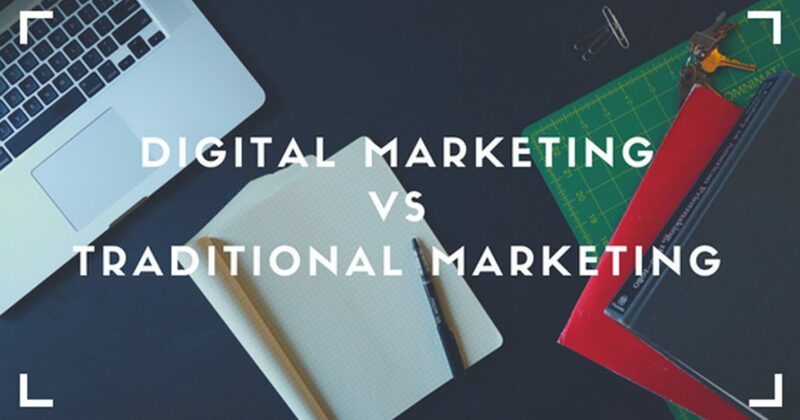 So now we can see there are so many reasons to go for digital marketing over traditional marketing. It is helpful for any kind of businesses be it small, medium or enterprise business. Every business now have different budget for their brand promotion in online. And in future it will much more impactful. Now we can see that some smartphone brands are opting for exclusive online sales and their selling figures are huge. Small businesses starting their business with only a website and a small budget without any physical location or product, but they are shining bright with the blessings of digital marketing. So let me know your views on this, if you are an business owner or wanted to start a new venture. 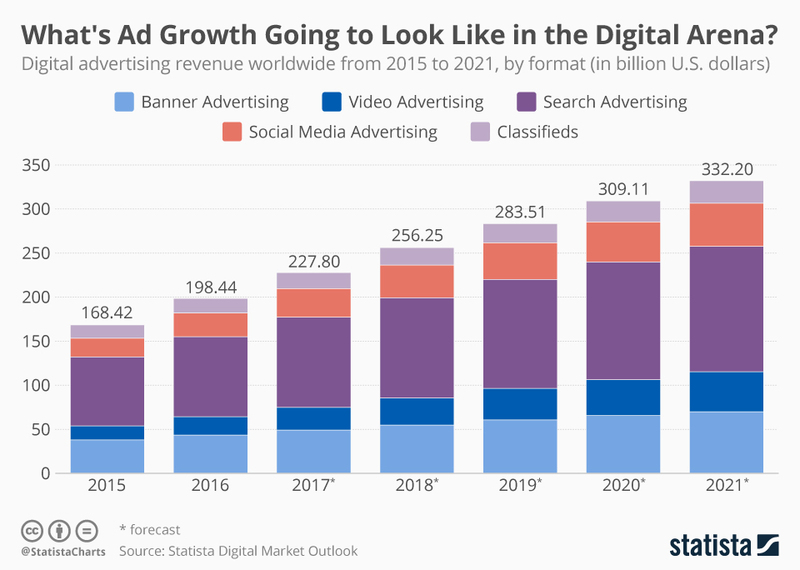 How you’re finding the future of digital marketing in your business?